The Benzoin resin Siam comes from Laos. For collecting of Benzoin resin Siam, the tree "Styrax tonkinensis" is cut on the bark down to the wood. The milky sap hardens in the air and then get it a orange-yellowish colour. The hard resin pieces are the Benzoin resin Siam. 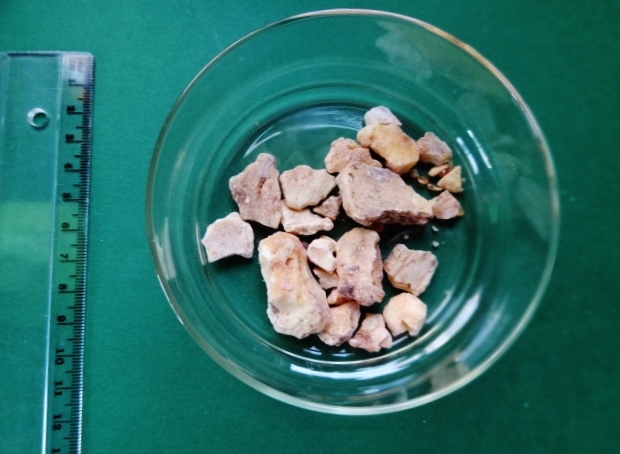 The Benzoin resin Siam is collected from March to May. The Benzoin resin Siam smells of vanilla and cinnamon.